Post: Gaurav Akrani. Date: 2/10/2011. Comments (5). Label: Banking. A cheque must be in writing. It can be written in ink pen, ball point pen, typed or even printed. Oral orders are not considered as cheques. Every cheque contains an unconditional order issued by the customer to his bank. It does not contains a request for payment. A cheque containing conditional orders is dishonoured by the bank. A cheque is always drawn on a specific bank mentioned therein. Cheque drawn by stranger are of no meaning. Cheque book facility is made available only to account holder who are supposed to maintain certain minimum balance in the account. A cheque must be signed by customer (Account holder) . 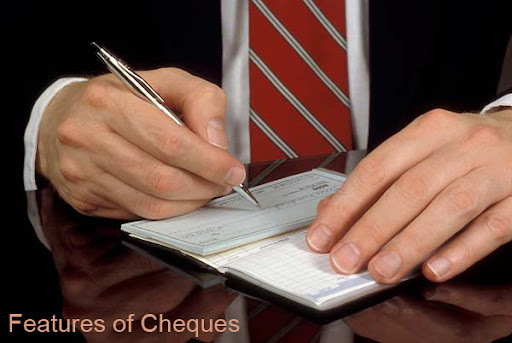 Unsigned cheques or signed by persons other than customers are not regarded as cheque. A cheque when presented for payment must be paid on demand. If cheque is made payable after the expiry of certain period of time then it will not be a cheque. Cheque must be for money only. The amount to be paid by the banker must be certain. It must be written in words and figures. The payee of the cheque should be certain whom the payment of a cheque is to be made i.e. either real person or artificial person like joint stock company. The name of the payee must be written on the cheque or it can be made payable to bearer. A cheque must be duly dated by the customer of bank. The cheque must indicate clearly the date, month and the year. A cheque is valid for a period of three months from the date of issue. Drawer : A drawer is a person, who draws a cheque. Drawee : A drawee is a bank on whom a cheque is drawn. Payee : A payee is a person in whose favour a cheque is drawn. Thanking You for providing me the necessary information.